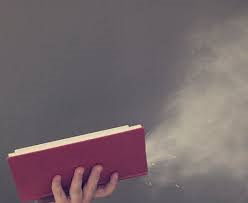 It’s Day 8 of my ‘Blowing the Dust Off’ series. Today we are joined by the lovely Jenny Harper. She is introducing us to one of her Heartlands novels’, People we Love. A couple of years ago, I was sitting in a gig at the Edinburgh Festival. It was African music and dance (traditional and contemporary), and there was lots of bounce and rhythm and colour. I was enjoying myself immensely – but at the back of my mind, something was niggling me. I couldn’t get the right title for my forthcoming novel. These things can be instant and easy … or they can drive you to insanity because nothing seems to work. I was at the latter end of the spectrum. I closed my eyes and tried to block out my worries and concentrate on the music. After all, it was terrific. Bang! There it was. People We Love. Perfect. The fourth novel in my Heartlands series (set in East Lothian, near Edinburgh), is about a family grieving for a brother, or a son, who was killed in a road accident a year ago in mysterious circumstances. The heroine, Alexa Gordon, is an artist who put her career on hold to support her parents. Tom Gordon (her father) is staunch and buttoned-up, determined to keep his grief in check so that he can go on supporting his family (and inevitably suffering in the process), while her mother, Martha, has completely fallen apart. It’s only after an elderly lady with dementia climbs in through her kitchen window that Alexa begins the long journey back from the dark. There are other characters too – her ex lover Cameron Forrester, who appears back on the scene after an unexplained absence, and Patrick Mulgrew, a suave art dealer who lives near Alexa in the fictional town of Hailesbank, but who works in Edinburgh. Oh, and her best friend Molly Keir, who has ghosts and secrets in her own past. What am I talking about? Sorry – you’ll have to find out for yourself! Anyway, the inspiration I had that night during the gig had natural consequences – when I decided to write about Molly’s story in my next novel, I used the title Mistakes We Make. It’s the first book in the Heartlands series that actually links to a previous one, other than through the setting. Alexa (Lexie) reappears, and her life has moved on considerably in the months since the end of People We Love, while Molly is still stuck in her hideaway, her problems unsolved. Inevitably, she has to face quite a few ups and downs and challenges, and deal with the mistakes she has made in the past, before she can set things to rights. I adored the covers Accent Press designed for these two books. They have just the right feel of dreamy mysteriousness. I’m not sure if it was the titles that inspired them or my blurbs, but anyway, sometimes things come together in a very pleasing way – even when finding the path might be difficult in the first instance! 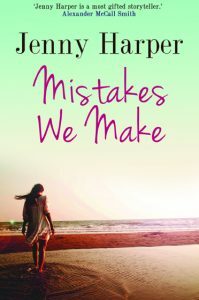 Jenny Harper lives in Edinburgh, Scotland, though she was born in India and grew up in England. 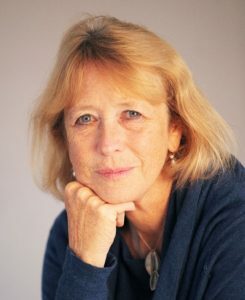 She has been a non-fiction editor, a journalist and a businesswoman and has written a children’s novel and several books about Scotland, as well as five novels and a novella in The Heartlands series (set in Hailesbank), a novel set in Edinburgh, and a number of short stories. Jenny writes contemporary women’s fiction with bite – complex characters facing serious issues. Face the Wind and Fly, about a woman wind farm engineer with a marriage in trouble and a controversial project to handle. Loving Susie, about a female politician with a complicated family history and at odds with the world. Maximum Exposure, in which a newspaper photographer with job to save has some growing up to do. 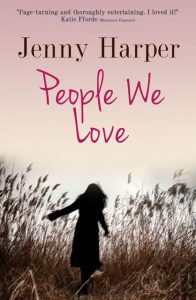 People We Love is about an artist whose life is on hold following the tragic death of her brother and Mistakes We Make follows a high-flying events manager as she works out what is really important in her life. In a sixth title, Between Friends, three women have to work together to take revenge on a man from their past whose reappearance threatens to ruin them all. Many thanks Jenny. Great blog. Come back tomorrow to read all about Richard Gould’s work. Thanks for hosting me, Jenny! Don’t often follow blogs, but I’m enjoying this series. Thanks, Jenny – that’s kind.